The landmark 1803 case Marbury v. Madison marked the first time the Court asserted its role in reviewing federal legislation to determine its compatibility with the Constitution -- the function of judicial review. Above, a portrait of plaintiff William Marbury. Marbury v. Madison, arguably the most important case in Supreme Court history, was the first U.S. Supreme Court case to apply the principle of "judicial review" -- the power of federal courts to void acts of Congress in conflict with the Constitution. Written in 1803 by Chief Justice John Marshall, the decision played a key role in making the Supreme Court a separate branch of government on par with Congress and the executive. The facts surrounding Marbury were complicated. In the election of 1800, the newly organized Democratic-Republican party of Thomas Jefferson defeated the Federalist party of John Adams, creating an atmosphere of political panic for the lame duck Federalists. In the final days of his presidency, Adams appointed a large number of justices of peace for the District of Columbia whose commissions were approved by the Senate, signed by the president, and affixed with the official seal of the government. The commissions were not delivered, however, and when President Jefferson assumed office March 5, 1801, he ordered James Madison, his Secretary of State, not to deliver them. 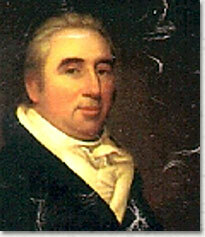 William Marbury, one of the appointees, then petitioned the Supreme Court for a writ of mandamus, or legal order, compelling Madison to show cause why he should not receive his commission. In resolving the case, Chief Justice Marshall answered three questions. First, did Marbury have a right to the writ for which he petitioned? Second, did the laws of the United States allow the courts to grant Marbury such a writ? Third, if they did, could the Supreme Court issue such a writ? With regard to the first question, Marshall ruled that Marbury had been properly appointed in accordance with procedures established by law, and that he therefore had a right to the writ. Secondly, because Marbury had a legal right to his commission, the law must afford him a remedy. The Chief Justice went on to say that it was the particular responsibility of the courts to protect the rights of individuals -- even against the president of the United States. At the time, Marshall's thinly disguised lecture to President Jefferson about the rule of law was much more controversial than his statement about judicial review (which doctrine was widely accepted). It was in answering the third question -- whether a writ of mandamus issuing from the Supreme Court was the proper remedy -- that Marshall addressed the question of judicial review. The Chief Justice ruled that the Court could not grant the writ because Section 13 of the Judiciary Act of 1789, which granted it the right to do so, was unconstitutional insofar as it extended to cases of original jurisdiction. Original jurisdiction -- the power to bring cases directly to the Supreme Court -- was the only jurisdictional matter dealt with by the Constitution itself. According to Article III, it applied only to cases "affecting ambassadors, other public ministers and consuls" and to cases "in which the state shall be party." By extending the Court's original jurisdiction to include cases like Marbury's, Congress had exceeded it authority. And when an act of Congress is in conflict with the Constitution, it is, Marshall said, the obligation of the Court to uphold the Constitution because, by Article VI, it is the "supreme law of the land." As a result of Marshall's decision Marbury was denied his commission -- which presumably pleased President Jefferson. Jefferson was not pleased with the lecture given him by the Chief Justice, however, nor with Marshall's affirmation of the Court's power to review acts of Congress. For practical strategic reasons, Marshall did not say that the Court was the only interpreter of the Constitution (though he hoped it would be) and he did not say how the Court would enforce its decisions if Congress or the Executive opposed them. But, by his timely assertion of judicial review, the Court began its ascent as an equal branch of government -- an equal in power to the Congress and the president. Throughout its long history, when the Court needed to affirm its legitimacy, it has cited Marshall's opinion in Marbury v. Madison.